1) (co. Devon). Erm. on a chief sa. three crowns or. 2) (Stoke Climsland, co. Cornwall; Nicholas Leache, son of John Leache, Chancellor of the Church of Exeter. Visit. Cornwall, 1620). Erm. on a chief indented gu. three ducal coronets or. Crest—Out of a ducal coronet or, a dexter forearm grasping a serpent all ppr. 3) or Leache – Same Arms. Crest—Out of a ducal coronet or, a lion’s gamb holding a cross crosslet fitchée sa. (also Crediton, co. Devon; extinct in 1708, at the decease of Sir Simon Leach, K.B.). 4) (quartered by Amhurbst, through Evering and Morris Visit. Kent, 1619). Erm. on a chief indented gu. an annulet betw. two crowns or. 5) (Fun. Ent. Ulster’s Office, 1666, Mrs. Wethers, alias Leach). Erm. on a chief indented gu. three ducal coronets or. 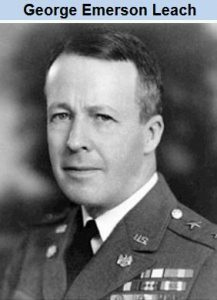 The popular Anglo-Saxon last name Leach has several origin theories. Spelling variants or names with similar etymologies include Leache, Leech, Leeche, Leche, Leetch, Leitch, Letch, Leich, and Leachman. First, the name is thought to be an occupational surname denoting a physician or doctor, from the Old English word laece, derived from the medieval medical practicing of applying leeches to a sick person in the process of bleeding. Wikipedia states the following on the matter: “Bloodletting is the withdrawal of blood from a patient to prevent or cure illness and disease. 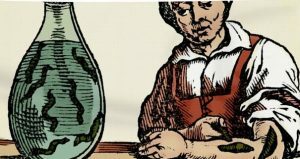 Bloodletting, whether by a physician or by leeches, was based on an ancient system of medicine in which blood and other bodily fluids were regarded as “humours” that had to remain in proper balance to maintain health. It is claimed to have been the most common medical practice performed by surgeons from antiquity until the late 19th century, a span of almost 2,000 years”. Second, others believe it is a topographic surname denoting a person who lived near a boggy stream, derived from the Old English word læcc. Third, and similar to the second theory, some believe it originated as a habitational name denoting a person from Eastleach or Northleach in Gloucestershire, towns derived from the same Old English word, likely built near a marshy stream. Similarly, the book Patronymica Britannica states Leach was a parish united with Marlston, in county Chester, England. Fourth, Henry Barber, in his 1903 book British Family Names, asserts Leach derives from the old German personal (first) name Liche. The Hundred Rolls of 1273 AD, a census of Wales and England, known in Latin as Rotuli Hundredorum lists two bearers of this surname: Edmund le Leche and William le Leche, both in Oxfordshire. Robert le Leche was documented in the Writs of Parliament in 1307 AD. 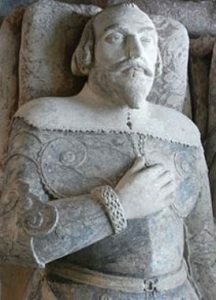 John le Leche was documented in Rilet’s Memorials of London. Henry Lecheowned a tenement in Glasgow, Scotland in 1325 AD. A William Leche, merchant of Aberdeen, Scotland, was documented in 1370 AD when his ship was driven ashore and plundered in Suffolk. John Leitch was documented in 1363 as Leche and in 1372 as Lithe or Leche, in Scotland. Robert Leche, the seneschal to the Earl of March and Moray, was documented in 1367. The Poll Tax Rolls of Yorkshire in 1379 AD also list one bearers: Robertus Leche, a taverner by trade. Ferchard Leche had a grant of land in Assynt, Scitkand in 1386. The last name Leach ranks 714th popularity in the United Status as of the 2000 Census. The name ranks particularly high in the following four states: Vermont (311th), Ohio (403rd), Michigan (441st), and Rhode Island (498th). The surname Leach frequency/commonness ranks as follows in the British Isles: England (412th), Scotland (1,950th), Wales (384th), Ireland (3,648th) and Northern Ireland (3,160th). In England, it ranks highest in Devon and Greater Manchester. In Scotland, the surname ranks highest in Argyll and Bute. In Ireland, it ranks highest in Munster. In Wales, it ranks highest in Rhondda Cynon Taf. The name is also present throughout the remainder English speaking world: Canada (1,299th), New Zealand (633rd), Australia (728th), and South Africa (2,007th). 1) Robert Leach Sr. was born in Gravesend, Kent, England in 1605. He married twice: Mary or Miriam and Alice Elwell or Alls. He had the following issue: Mary, Sarah, Robert Jr., Samuel, and Bethiah. His son, Samuel Leach was born in Manchester, Massachusetts in 1655. He married twice: Arabella Norman and Hannah Baldwin, and had the following issue with him: Penelope, Catherine, Samuel Jr., Hannah, Richard, and Benjamin. 2) John Leach was born in Sonning, Berkshire, England prior to 1616. He married twice: Elizabeth Waldron and Sarah, daughter of Robert Conant and Sarah Horton, and had a son named John. His son John was born in Massachusetts c. 1648. In 1670, he married Mary Edwards, and had two issue: William and Hannah. William was born c. 1680 in Massachusetts. He married Tryphosa Herrick in 1703 and had two sons with her: William and Elijah. 3) Captain Richard Leach was born in Sonning, Berkshire, England prior to 1619. In 1654, he married Sarah Ann, daughter of John Fuller and Anne, and had the following issue with her: John, John, Rachel, Sara, Elizabeth, Mary, Samuel, Richard, and Hannah. His son John Leach was born in 1643. He married twice: Elizabeth Flint and Mary Edwards. He was the father of the following issue: Sarah, Samuel, Richard, Abigail, Mary, Lydia, and Ruth. 4) James Leach was born in Salem, Essex, Massachusetts after 1626. In 1652, he married Jane, daughter of Thomas Turpin, and had the following issue: John, Thomas, James, Mary, and Nathaniel I. Nathaniel I was born in Portsmouth, New Hampshire c. 1685. In 1708, he married Magdalene Williams and had issue with her as follows, prior to his 1759 death in Kittery, Maine: James, Nathaniel II, Kathrine, John, Mary, Joseph, Benjamin, Hannah, Ebenezer, Samuel, and Josiah. 5) Giles B. Leach was born in Salem, Essex, Massachusetts in 1623. In 1656, he married Anne, daughter of Thomas Nokes and Sarah Thackwell, and had the following issue with her: Sarah, Elizabeth, Samuel, David, John Sr., Benjamin Sr., and Ebenezer. In 1656, he married Anne Nokes and had the following children with her: Sarah, Elizabeth, Samuel, David, John Sr., Benjamin Sr., and Ebenezer. For more information about the descendants of Lawrence Leach, please see the following book published in 1898, titled Leach Family Record. John Leach was born in Edinburgh, Midlothian, Scotland in 1640. He married Alicia Ireland. He went to colonial American. He had a son with her named Ambrose. 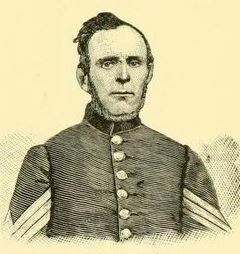 Ambrose Leach was born in Calvert, Maryland in 1668. 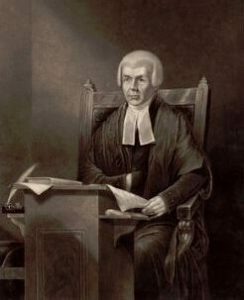 He had two sons: Ambrose and William Jr.
1) Ambrose Leach was born c. 1720. In 1749, he married Elizabeth Nearn, and had a son named Benjamin. Benjamin was born in Randolph County, North Carolina around 1760. He married Eleanor Trott and had a son with her named James H. Leach Sr.
2) William Leach Jr. was born in Montgomery County, Maryland in 1739. He was the father of the following children prior to his 1808 death in Kentucky: William Brooks, John S., Martha, and Susanna. His son, John S. Leach, was born in Sinks, West Virginia in 1765. In 1796, he married Rachel Jane Bowman and had a son with her named Frederick Bowman Leach, born in 1803. 2) Dewitt Clinton Leach (1822-1909) was a member of the US House of Representatives for Michigan from 1857-1861, born in Clarence, New York. 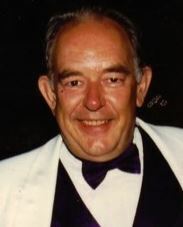 3) Robin Douglas Leach (1941-2018) was an English entertainment report and a report from London, best known for hosting the TV show Lifestyles of the Rich and Famous from 1984 to 1995. 4) Sir Henry Leach (1923-2011) was an officer in the British Royal Navy, born in Newtown Abbot, having served in World War II and the Korean War, and was considered influential in convincing Margaret Thatcher to attempt to retake the Falkland Islands from Argentina. 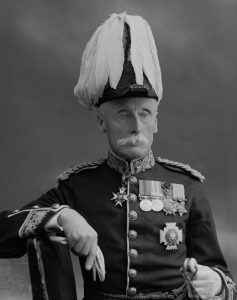 8) General Sir Edward Pemberton Leach (1847-1913) was an Irish general in the British Army, a Victoria Cross recipient, born in County Londonderry, Ireland, who served in the Second Anglo-Afghan War and Mahdist War. 14) Private Josiah Leach Jr.